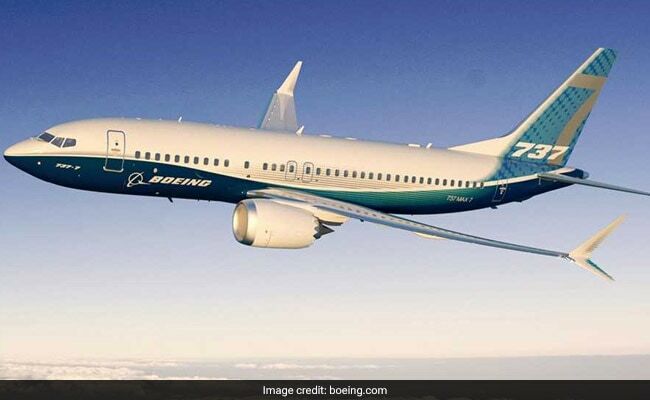 The aviation regulator DGCA has told Jet Airways and SpiceJet to check all their Boeing 737 Max aircraft for an issue that could lead to "significant altitude loss", a week after a brand new plane of the same model plunged into the sea minutes after take-off in Indonesia. The US watchdog Federal Aviation Administration and Boeing have issued advisories on what could be done to prevent similar incidents involving the Boeing 737 Max, after the Indonesian Lion Air flight crash that killed all 189 on board. Jet Airways and SpiceJet are the only airlines in India that fly the Boeing 737 Max. "Both the documents (FAA and Boeing) address erroneous high angle of attack sensor input and corrective action for the same as it has potential for repeated nose-down trim commands of the horizontal stabiliser," said a senior Directorate General of Civil Aviation official, who asked not to be named. Angle of attack is a technical term that refers to the angle between the oncoming air or relative wind and a reference line on the airplane or wing, according to Boeing. Sometimes, the reference line is a line connecting the leading edge and trailing edge at some average point on the wing. The DGCA has reviewed the performance of Boeing 737 Max 8 planes operated by the two airlines in India. On October 30, civil aviation minister Suresh Prabhu said the DGCA had been asked to look at engine and other issues after the crash in Indonesia. The DGCA official said if the condition is not addressed, it could cause the flight crew to have difficulty in controlling the airplane. The condition can even lead to "excessive nose-down attitude, significant altitude loss, and possible impact with terrain (plane crash)," said the official. Based on initial investigation of the Lion Air plane crash, the FAA issued an emergency "airworthiness directive" on Wednesday. Boeing also released a bulletin about the issue on Tuesday. The DGCA official said changes to the flight manual have to be done within three days after getting the airworthiness directive from the US watchdog; the manual contains procedures to be followed by the flight crew. Jet Airways said the planes continue to fly in compliance with the AD issued by the manufacturer and the regulatory authorities. "The airline is in contact with them and committed to implement all directives or advisories that may be published by either the manufacturer or DGCA as the safety of guests and crew is of paramount importance at Jet Airways," an airline spokesperson said. Comment from SpiceJet is awaited.